If you're a mom, the idea of self care may be elusive - like that dreamy vacation you fantasize about or that long-lost memory of sleeping in on the weekends. Before starting a family we never thought about self care because it was how we usually lived. We rested when we needed, treated ourselves to social gatherings, days off, long naps - whatever felt necessary. But along came the littles filled with wonder, joy, and lots of needs, and suddenly we got lost. Finding time for self care isn't always easy and sometimes the little breaks we give ourselves are disappointing. Solitude can be a great break, but often what we really need is connection - adult connection - and support. Knowing that our daily struggles are shared by others - our desires not to miss every little moment but simultaneously wishing for a break, for wanting to do more and less all the time - learning that these are normal feelings for moms and dads and that what we do, who we are, is already good enough is transformative. Reviving your spirit happens through connection and through in-real-life community. The deepest and most profound kind of self care can come from a shared moment, an authentic conversation, or a silent knowingness. Mother's Day may have passed, but there is still time to give yourself this most powerful gift - the gift of community. Become a member of Holistic Moms and find others who make your spirit sing. Give yourself connection, friendship, awareness, and support. Your membership of just $35 for one year (through May 31st) will be a gift to yourself and to so many others through our 501(c)(3) non-profit community. Bring self care back into your life. It will do you good! As a holistic-minded parent, there is much to be concerned about. There are pesticides and GMOs in our food supply, legislators are making it more and more difficult for parents to have freedom in their healthcare and lifestyle choices, and chemicals are lurking in our homes, via our furniture, paints, and flooring, without our knowledge. You might read about the issues on Facebook and Twitter, like a few pages, share a few posts. But a click here and a click there is essentially inactivity. Doing something takes a commitment. Maybe it's just a $10 donation to an organization that supports your lifestyle. Or maybe it's taking a day to march, write a letter, call a legislator. Or maybe you do even more. But more often than not, we read, we click, and we assume someone else will do something. Here's the problem - there is no someone else. We are all you. Are you waiting for someone else to speak up? Do you expect others to donate to causes you believe in? Because it's not happening. The resistance to natural living is growing. But thousands of the voices that should be heard are silent. Organizations who are working hard to represent those voices are closing their doors because of a lack of funding and support. Everyone is waiting for someone else. There is no more time to wait. Whatever your issue, whatever your concern, don't let the danger of doing nothing kick in. You will blink and you will see your communities and networks gone, your voice silenced, your causes overrun. The sidelines are not a safe place, in fact they hold the gravest danger of all. If you're not doing something, you risk losing it all. Give, do, help. Whether to the Holistic Moms Network during our #MayDriveforMoms or to another cause of your passion. Just do it. Because someone else isn't. With Mother's Day just around the corner, everyone is clamoring to celebrate and honor motherhood. But what exactly is motherhood? Birthing, nurturing, educating, giving? Selflessness and sacrifice? Love and empathy? Motherhood is so many things. Collectively, though, it is an ancient art and practice of love, compassion, and the passing on of knowledge and wisdom. Motherhood is a collective wisdom and experience. It is a sacred space that all mothers know and dwell in, no matter how different our personal journeys. Motherhood resides within our souls in a knowingness that is intrinsic to who we are. It is in this collective space that motherhood is most powerful. When mothers come together, our souls sing. We share our uncertainties, joys, hardships, and challenges. We speak a language of experience, knowledge, and wisdom to reassure one another, to grow, and to delve into a deep body of collective consciousness that has passed from one generation to the next. From our mothers and grandmothers and beyond, the thread of motherhood connects us all. And from this connection we each gain strength to power us through our own mothering journey. To bring forth that wisdom and strength we need community. We need to share our space and our lives with other mothers. We need to dive into the collective consciousness and ancient wisdom by connecting, sharing, and learning from one another. In-real-life community is the only way for us to truly unleash this sacred power. Without it, motherhood is like an underground spring, deep and nourishing but not fully accessible. Community brings it forth. Give yourself the greatest gift you can this Mother's Day. 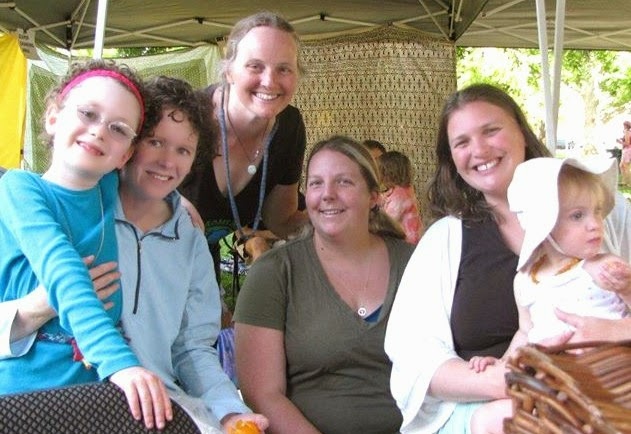 Get connected to a mothering community. Open your soul and your heart to the collective consciousness of motherhood and to the ancient wisdom that we share not just in words and advice, but in the commonality of experiences and knowingness. 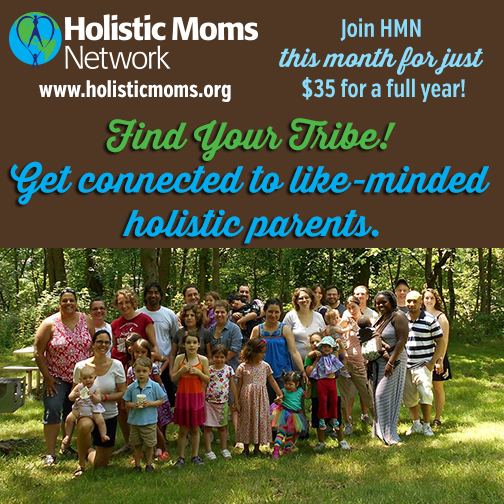 Become a supporting member of the Holistic Moms Network in May and tap into mothering community while adding your sacred journey to the collective wisdom and experience that is motherhood. Motherhood is both a noble and humanizing journey. There few paths in life that require so much strength, calm, organization, and compassion, and few that demand as much sacrifice or that take a more profound toll on our bodies and minds. Motherhood can be joyful - filled with the deepest love imaginable. Motherhood can be painful - testing our limits and sorrow. Being a mother is being alive. Living the full spectrum of existence, from the highest peaks to the lowest valleys and everything in between. It is odd then that we take just one day in May to try to honor all that motherhood is. Moms (and dads) certainly deserve a special day, but the journey of parenting is so significant, we believe it needs at least a month of ongoing attention to bring to light just a small portion of the glorious spectrum of motherhood. Here at the Holistic Moms Network, we believe in Mom's Month. We want to dedicate the entire month of May to mothers and mothering. Our goal is not only to bring attention to the highs and lows of parenting, but also to demonstrate the importance of supporting and empowering mothers each and every single day. The Holistic Moms Network is built on a very simple idea: moms matter. Moms matter because they are birthing and raising the next generation. Moms go to enormous lengths to do what is best for their children, in pregnancy, birth, and parenting. We make choices every minute of every day on how to feed our children, how to teach our children, how to show our children their connection with the world around them. The choices aren't always easy, but with information, resources, support, and community, moms can be empowered to make the best decisions for themselves and their families. Joining together in community opens up a world of possibilities and gives us the strength to make optimal choices, no matter how popular or unpopular. Nothing gives a mother wings like a supportive community. Help to empower mothers all month long. We want all mothers to fly with the wind at their backs. 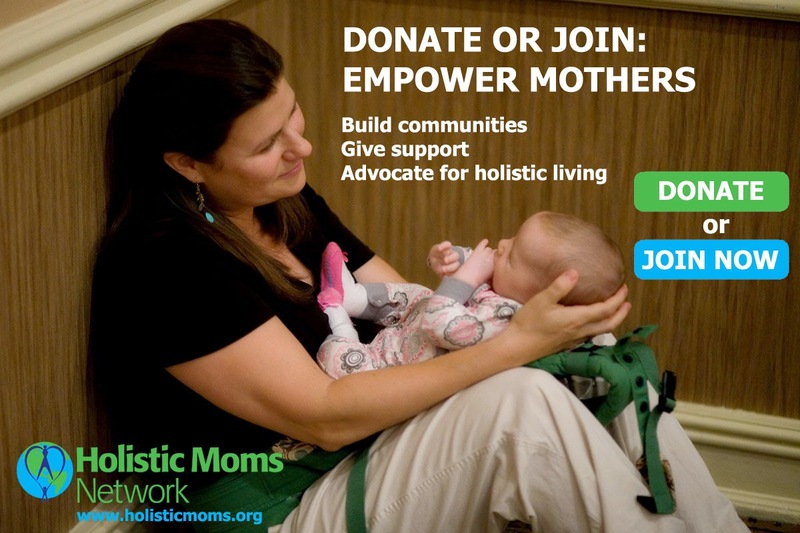 Your donation to the Holistic Moms Network during May can be that wind. You can drive change by being a supporting member, a local or national Sponsor, or a donor to our 501(c)(3) non-profit organization. 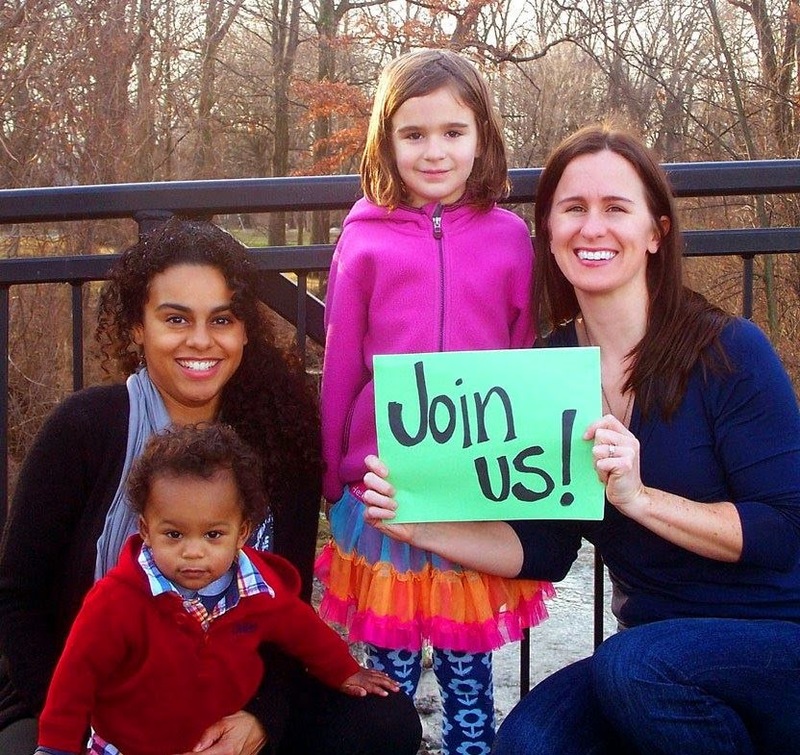 Join us and make moms matter in May. - to share with others. When we are heard, we are validated, understood, and fulfilled. Sharing our life journeys with others heals us in profound ways. Giving voice to our concerns, questions, successes, and failures helps us to grow as individuals and as parents. From the early years when our children are babes through tweens, teens, and adults, the challenges persist even though they change in nature. Overcoming breastfeeding issues and toddler tantrums evolves into education choices and screen time questions, into dating and cultivating independence and responsibility. Each stage in our children's lives is a stage in our parenting journey. Being heard gives richness to that journey. At HMN, we strive to create sacred spaces where parents can connect, share, and be heard. A place where bonds can be created, questions answered, and support offered and received. Community gives us these opportunities and so much more! Community gives us an opportunity to be heard, but also to laugh and to cry, to help and be helped, to have companions or to walk alone knowing that others are with us in spirit. Our core mission is to bring people into these spaces - into our Chapters - to be heard. Start 2015 off with the most profound healing that you can and give yourself the opportunity to share your voice. Being heard will empower you, and your knowledge and experience can help guide another along her/his own journey. Join Holistic Moms during January to set a powerful healing intention and save $5 on an annual membership. Refer a friend to HMN and get a one-month extension on your current membership. Help us to help others. Spread the word, spread the healing, let's be heard in 2015! Today is #GivingTuesday, a day to give back. So many of us feel intimidated by gifting pleas. We live on a budget and wonder if what we can give can make a difference and then, sadly, decide not to give because it feels insignificant. But every single gift - an hour of time, a few dollars, referring our organization to a friend - matters. Every single gift adds up to a way that we can help others, raise awareness for holistic living, and bring a parent the much-needed support that they are craving. Know that everything you do, every gift you offer, is a blessing. Share our video, like our Facebook page, help out at your local Holistic Moms Chapter, or donate $5. It's all a wonderful way to give, share, and help out. 'Tis the season to practice gratitude. But when times are hard, family and friends busy with other obligations, or life doesn't seem to be treating you fairly, mustering up some gratitude seems like another difficulty to overcome. Even if you are in a funk or not feeling the gratitude of the season, there are simple ways you can cultivate gratitude in your life. Try these easy steps to start feeling more grateful and relax into the season. Be present. So much of what stresses us out or makes us feel unsatisfied is caused by the worry and anxiety in our head. The "what ifs" or dwelling on comparing your circumstances to another's can take you into a whole world of misery. But if you stop to breathe, look around, and connect with what is right in front of you in this moment, there is likely something to be grateful for. Maybe it's as simple as a hot cup of coffee or the roof that you are sitting under. It's there at this moment, right now, and you can feel gratitude in the present. See if you can be present several times each day to see what you can feel gratitude for in the moment. Walk the walk, talk the talk. Being grateful is a way of being. Smile when you meet others. Say "thank you" often. Talk about what you are fortunate for or abundant in ("I am so fortunate to have missed the traffic today," for example). Look around and share your thoughts on your gifts and blessings for the day! "What a gift the bright sun is." Language and behavior are powerful. Bring them into your life as tools for cultivating more gratitude. Embrace the bad times. Being grateful doesn't mean sweeping your troubles under the rug or burying the past. Remembering the rough spots is a powerful way to cultivate a gratitude p in a challenging time, you can find those comparisons to bring up a sense of gratitude. We all know the "every cloud has a silver lining" saying but that isn't always helpful in the moment but often more so in hindsight. Instead, look at the moment you are in and see how it inspires its own gratitude for what it's not. 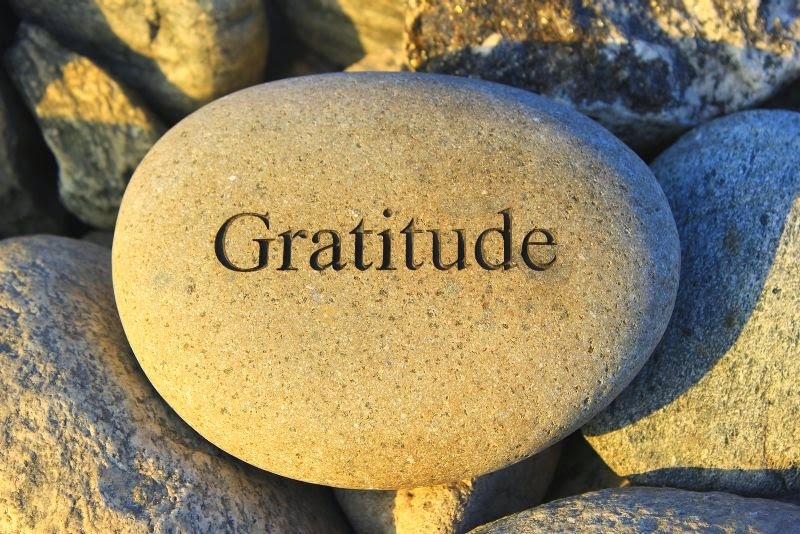 Cultivating a gratitude practice is just that - a practice. It takes time and effort, but each time you work at it, you will see results! The holiday season is here, along with never-ending to-do lists, demands on your time and attention, and the stress that seems inherent in the festivities. So how do we stay both well and sane, naturally, and truly enjoy the holidays? Here are some of our favorite holistic suggestions! Keep it simple. Hosting a large crowd for the holidays? No need for an elaborate eight-course gourmet feast. Stick to simple basics and do them really well. Real food doesn't need to be fancy to be good. Impress your family with some easy but elegant food. For example, try out these Bacon Wrapped Figs as a holiday appetizer or this Simple Spinach and Sausage Strata for a Christmas morning brunch. Take Care of Yourself and Your Family. Stress can wreck havoc with your immune system. Keep yourself and your family healthy with probiotics and other immune system boosters to try to ward off the season's bugs. Make Time for You. Holidays with kids can really shift your focus away from self-care. Surviving the season means finding time to take care of yourself, too. Enjoy some aromatherapy or an herbal bath to restore your mind, body, and spirt. Keep it Green. Does a house full of useless plastic toys make your head spin? Green up your holidays with gifts that are not only eco-conscious but that also inspire creativity and imagination. Try a themed Discovery Box for the kids on your list or some organic, sustainable treats for the men or women on your list! Be Ready for Curveballs. In spite of the very best plans, life sometimes throws you a curveball. 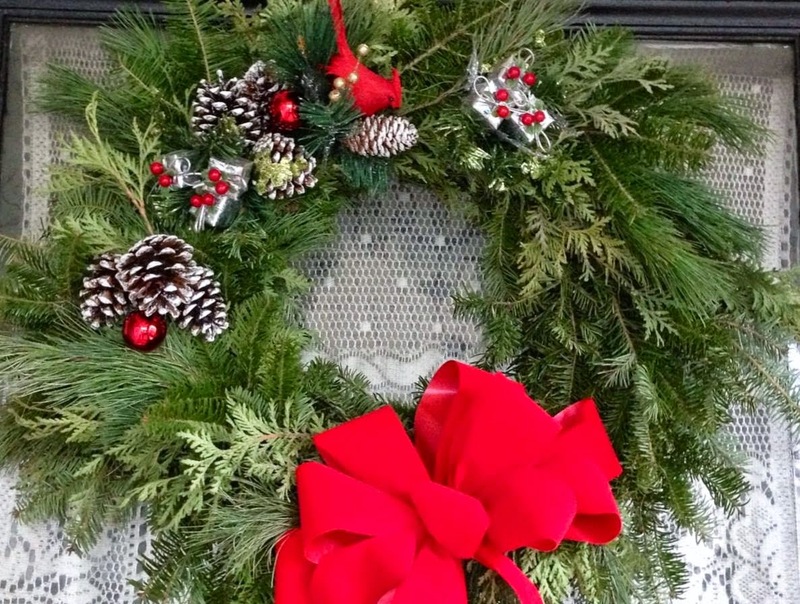 One of the kids gets sick on a holiday eve or the stress of the season creates new challenges. Be ready, both by stocking up on ways to care for yourself and cultivating your flexibility and patience. Coughs, colds, or upset tummies may be on the horizon - find some natural remedies to have on hand so that you're ready. Nursing a little one? You might want to keep some helpers around in case your milk supply is less than usual due to the stress. Be ready and then roll with what comes your way. Stay Hydrated. Gingerbread lattes and wine with your feast can do a real number on your hydration levels. Hydration is critical for wellness - even a small decrease in your water intake can slow your coordination and decrease your concentration. Drink plenty of pure water and even try a little flavoring for the season if it gets you to keep up your water intake! Indulge Better. Okay, it IS the holidays, after all. We look forward to so many special treats, from holiday cookies to some old-time favorites, like eggnog. Indulge a little, but try to select healthier versions of your weaknesses, or make your own with organic and sustainable ingredients! Don't Stray Too Far. Little indulgences happen, but try not to toss away all of your healthy practices for the season. If you avoid toxins in your personal care products, stick with your favorite healthy and effective brands rather than over stressing your body. Look into handy travel sizes so that you can bring them along and not compromise your standards. Ditto for your diet. If you have food sensitivities, don't let your guard down too much or you will suffer for it in the end. There are great gluten-free, dairy-free options out there - make some of your own and bring them along so that you are not tempted to go overboard. Be present. Staying in the moment is both the easiest and hardest thing that you can do to remain calm and enjoy all of the holiday festivities. Being mindful can reduce stress, lower your blood pressure, and improve your sleep. With so much to do, though, it can also be a challenge. Try practicing mindfulness each day by tuning into the sights, sounds, smells, and flavors of each moment and noticing them fully. Make Connections. The holiday season can be both joyous and difficult. If you have lost loved ones or are facing a difficult time, the holidays can exacerbate your emotional challenges. Make social connections and find a like-minded community to get you through the season with support and friendship. Know that there are many others like you out there and few of us have picture-perfect holiday seasons. A warm thank you to all the supporters, Sponsors, and friends of the Holistic Moms Network who provide us with so many holistic resources for the holidays and beyond! The Holistic Moms Network was founded with one very simple idea in mind: the idea that community matters. Community matters because community brings us together, face-to-face, in real life. Community teaches us about authenticity, about empathy, and allows us to connect with one another. Community matters because it creates a place of belonging – a place where we can begin to know and understand that there are others who share our journey. Community adds value to our lives, improves our health, and enriches our experience of happiness. Community matters because it enables us to learn from one another, share our life experiences, and discover more about ourselves in the process. Community helps us to develop a sense of place, an awareness of our surroundings, and an appreciation and gratitude for the people, places, and things in our lives. As parents, community allows us to know that we are not on this journey alone. 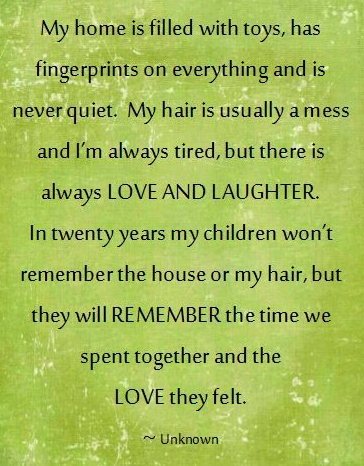 That the challenges and struggles, as well as the joys and love that are part of our parenting are shared by many. For those of us following a holistic path, community gives us a strong place of belonging and empowerment. A space where we can be open about our desires to live more sustainably and more naturally, and where information and awareness strengthen our resolve. Engaging in social interaction and being a member of a community has even been shown to improve our immune systems and our moods, reduce anxiety and even improve our memory. Community is good for us. But today’s digital and virtual culture, combined with our fast paced lives, pull us in the opposite direction – into our self-contained spaces, far apart from one another. Being together gives us an opportunity to learn, share, and connect in a way that virtual connections do not. We believe in the power of community - for ourselves, our families, our neighborhoods, and our planet. Do you? Here at the Holistic Moms Network we are celebrating our 11th year of community, sharing, and connecting. We are honored to have an opportunity to help raise awareness, but also to bring parents and others together for support. One of the biggest deterrents to making healthy and sustainable lifestyle changes is a sense of fear and overwhelm. As parents, it is particularly easy to stop dead in our tracks when we begin to realize how many things in our environment are toxic to us and to our families. That moment of awareness is critical. Our fight or flight instincts kick in and we can throw up our hands in disgust and go about our familiar ways, or we can fight back and decide to become more informed and more empowered in order to improve our health and the health of the planet. But it's not an easy choice nor a simple journey. Once you begin, there are many crossroads where you need to make choices based upon the information that you have and the resources available to you. Sometimes we move forward, sometimes we don't. Change can be hard. It is important to remember that even simple, everyday changes can add up to a big difference, both in terms of health and sustainability. That's why we have created 31 Days of Holistic Living for October, Holistic Living Month. Each day we will share a practical step that you can take to live more naturally. Each action is designed to be something that you can do today and try out. You might find out that it works for you and that your new action can become a regular part of your lifestyle. Or you may want to add it to your "to do" list and see if it will work at another time. 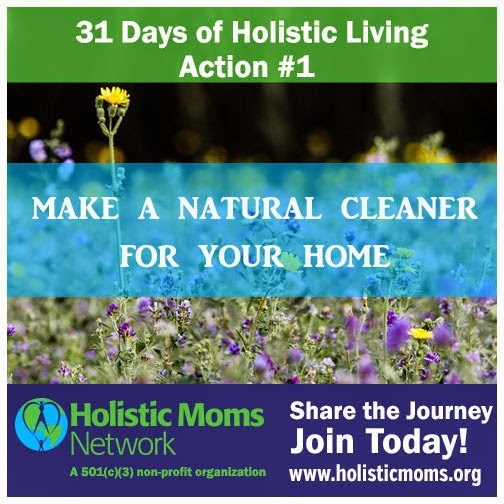 Follow us on Facebook to see each one of our 31 Days of Holistic Living and introduce some new actions into your life. One day at a time, and the journey seems much easier to achieve. Be sure to celebrate the actions that you take on and remember that change takes time! Excuses are both dangerous and brilliant. I am often inclined to use them at workout time. "I'm too busy" or "I'm too tired" are frequent visitors at these times, although "I really just want to lie down and put my feet up" is the authentic voice behind the excuses. However, I often quickly tire of the "living healthy is too expensive excuse." For me, living healthfully - and sustainably - is exactly the opposite: a simple, healthful lifestyle saves me money. Growing organic vegetables and herbs in my little container garden and a commitment to living greener and reusing not only enhance my family's well-being and that of the planet, but bring about many opportunities for financial savings. Once you embrace the idea of living with less waste, you begin to see how much you have been throwing away - literally and figuratively. Hopping through farmers' markets this weekend (I've been known to hit multiple markets in one Saturday morning jaunt), I found some fabulous organic carrots in gorgeous hues of yellow, orange, and red. The kindly farmer asked if he could remove their tops and when I said that I would be using them, it sparked an interesting conversation on the many ways they can be used and consumed. (Yes, there are some questions about allergic reactions to carrot greens - or any greens containing alkaloids - so stick to organic). 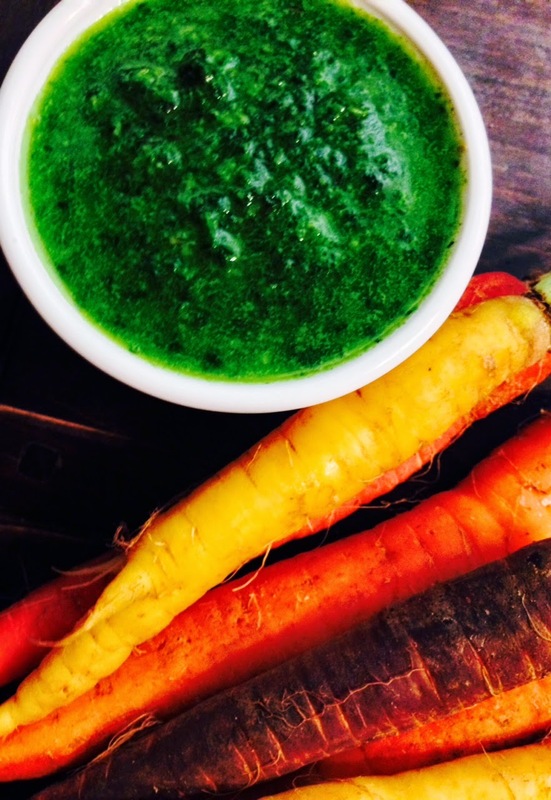 Lovely carrot tops/greens can be used to make stock, pesto, or in this delicious Carrot Top Chimichurri which was aided by fresh cilantro from the garden and some garlic and peppers on hand. It's super easy with your food processor and a little bit goes a long way. You can add in some cumin or paprika for an extra kick. We're enjoying it on some leftover pulled pork. Enjoy - and save those tops! To assemble the chimichurri, pulse the garlic cloves and serrano chili together in a food processor. Add in the carrot greens, cilantro, salt, pepper, and lime juice and process while pouring the olive oil in a steady stream. Blend until the mixture is well combined. Contributed by Nancy Peplinsky, Founder and Director of the Holistic Moms Network, and mother to two amazing boys. Eat organic? Exercise regularly? Are you mindful and present? You may be healthy -- or you may not be as healthy as you think. Are you lonely? If so, you're among a growing percentage of our population. According to a recent study of people 45 years old and older, more than 40% of us are lonely, up over the past 20 years. What's more is that loneliness impacts mortality as much as obesity or a lack of physical activity, yet not enough of us are dedicating our time to preventing it. PLOS Medicine published an article showing that "individuals with adequate social relationships have a 50% greater likelihood of survival compared to those with poor or insufficient social relationships. The magnitude of this effect is comparable with quitting smoking and it exceeds many well-known risk factors for mortality (e.g., obesity, physical inactivity)." If you're spending hours each week at the farmers' market or in the garden to feed yourself good food, or logging in time at the gym, you need to be spending just as much time enriching your social life and sense of community in order to gain this healthy advantage. And, no, social media doesn't count. Although young adults "feel" connected through social media outlets, such as Facebook, it's a deceptive illusion. Research shows that the more time people spend on Facebook, the more lonely they truly are. So how do we overcome the social isolation problem? Our self-focused culture and media emphasis on "me time" don't help. We need to step up, overcome apathy, and get active in our neighborhoods, communities, and towns. Whether volunteering for a local organization, serving on a town or school council, or joining a social group, getting connected requires a small step for a big reward. Health has many facets and it's time this one makes our to-do lists. journey: passage or progress from one stage to another: the journey to success. Spiritual leader and teacher Osho shares incredibly wise words about motherhood - a journey that transforms us from women into mothers. Motherhood has a truly transformative quality. Where we begin and where we are today are inevitably different, perhaps slightly or perhaps unrecognizably so. At the Holistic Moms Network we honor this transformation and talk about motherhood as a journey because it is a long road of travel, physically, emotionally, spiritually, socially, and psychologically. There are triumphs and failures, adventures and trials along the way. Whether the road is hard or easy, simple or chaotic, the journey of motherhood is best traveled in good company. Spouses, partners, and family members are by our sides, but nothing seems to enrich the journey more than the presence of other mothers who offer friendship, support, and advice. "Mothers who have the help of people they trust feel more self-esteem, confidence as a parent, and struggle less to access information that helps them problem-solve for their bundle of joy," according to Psychology Today magazine. Indeed, a wealth of research shows that mother-to-mother support is one of the most valuable ways to empower women on their parenting journeys. 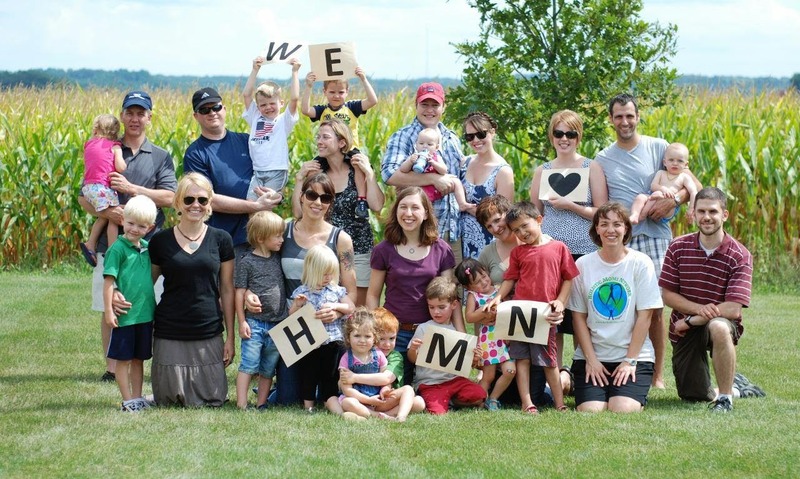 At our very core at HMN lies this simple rule: moms need support. It doesn't matter where you are on your journey, how holistic you may or may not be, or whether this is your first voyage or you are an experienced adventurer. Surrounding yourself with support and community will be invaluable. Bringing parents together, building communities, and creating opportunities for moms to journey together is the very mission and purpose of what we do here at the Holistic Moms Network. And each May we honor moms and try to make the journey a little easier. 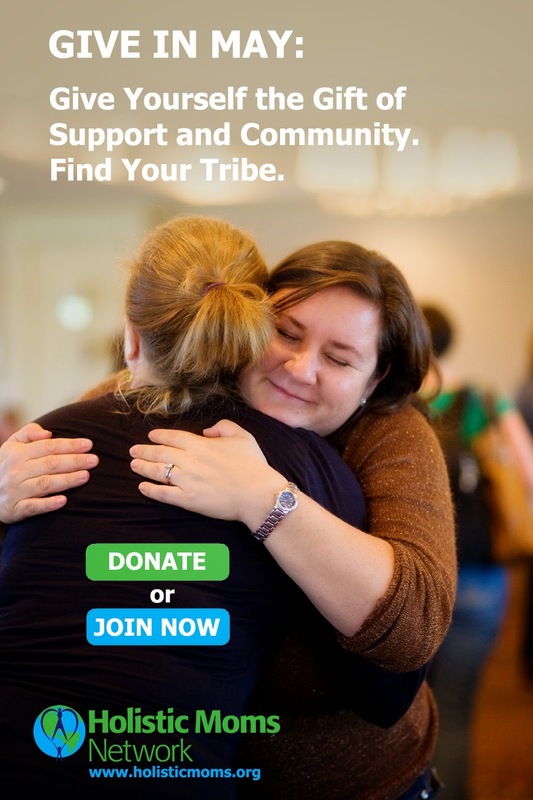 Your support is what makes our non-profit community possible. Each membership donation helps us sustain a Local Chapter, build a new one, provide information online or in person, or fulfill our ongoing mission. In May we invite moms, dads, grandparents, expecting parents, caregivers, holistic healthcare providers, and others to join us to support this mission and help another on her own journey. Join us in May - for yourself, for another, for all of us! Spring is a fickle month in the Northeast. One day the sun warms and flowers start to pop open, then next it's cold and rainy. This week is the latter, sending a chill reminiscent of the recent winter past. So it's a great week for some warm soup with some of our very favorite superfoods, including kale. This recipe comes from Many Paths, One Journey to Health, a cookbook published by the Holistic Moms Network based upon member-submitted, kid-tested recipes. These are simple, real food recipes for real people! Fry garlic and fennel seeds in oil, stirring constantly, approximately one minute. Add, onions, cook another two minus. Add carrots and parsnips, stirring and cook for 4-5 minutes. Add tomatoes, stock, bay leaves, and oregano. Bring to a coil and cook for approximately 10 minutes. Add potatoes and kale, cooking for approximately 20 more minutes and sun-dried tomatoes. Simmer for 5-10 minutes until potatoes are cooked through. Remove pot from heat, stir in saffron and salt and pepper to taste. Enjoy! 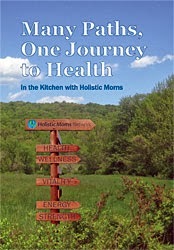 Order your own cookbook from the Holistic Moms Network here and enjoy all of our recipes, all year long! With warmer weather approaching, we love to enjoy lazy weekends which include tasty treats for breakfast or brunch. This easy french toast recipe will have your kids begging for more and will give you all a fun taste of the tropics! Preheat a skillet to medium high. In a blender, combine the bananas with the coconut milk. Blend until smooth and pour into a shallow baking dish. If the consistency is too thick, whisk in some milk to reach the desired consistency. Slice the bread to your desired thickness and soak bread in the banana coconut milk mixture for one minute on each side. Oil or butter the skillet and add bread, allowing to cook a few minutes on each side until a thin crust forms, then flip and cook on the other side. Top with sliced banana, maple syrup, or a topping of your choice! We're Expecting! A Garden, That Is! Gardening is not part of our family legacy. My urbanite parents had little interest in growing their own food and opted for modern conveniences at every turn. But as a holistic-minded parent, my distrust of our food supply combined with a desire for affordable, organic and local produce has led me down the path of becoming a gardener. Remarkably, it feels very much like becoming a parent. The early days were filled with excitement and wonder. I pored over seed and gardening catalogs with awe. At first I thought I needed all the latest and greatest gear, the little gadgets to make my gardening adventure a success. But both budget and space limitations forced me to make more realistic choices, just as I had when my first child came into the world. I do, however, wish that someone would throw me a Garden Shower and bestow wonderful gifts to prepare for the journey ahead. Alas, that is not on the horizon. Selecting our seeds was another fun step. My son and I picked a variety of items to plant, from our favorite veggies to some intriguing herbs. We read up online and in books and magazines, cultivating advice from a wide range of sources. Yet as I dive in, I find myself full of uncertainty. I peer over the fences of neighbors to see what their gardens look like, chat with anyone I can find with a green thumb, and try to find assurances that we, too, will become good gardeners. Our little seedlings have sprouted and we look on with glee and amazement. "Oh, mom, they're so cute!" my son utters. Indeed they are. But are they getting enough light and water? When do we harden them to help them thrive outdoors? And transplanting - how soon? I eye the weather and prepare myself for the next journey. I want to nurture them and guide them, but also give them their space. I hope that at least there are not tumultuous teenage years ahead, and am thankful that we don't have to worry about them staying out late or straying far from home. I have not even planted our little sprouts and already I am wanting to grow our garden family. There are sure to be many challenges ahead. Pests and critters, drought or hornworms. Like parenthood, I know I have just begun. But the rewards are already so evident. The wonder of nature never ceases to amaze me. I may be a novice and learning as I go but gardening, like parenting, is forcing me to live in the moment and stay attuned to present with all its blessings and challenges. Perhaps by our third or fourth year, I will become a seasoned expert and will share tales of our plants over coffee with other local gardeners. For now, I sit in hopeful anticipation of what is to come and are very thankful that at least our garden is not preventing me from sleeping through the night. This is not an April Fool's joke, although you might fool the kids with this one! Creamy, delicious chocolate mousse can be healthy and dairy free. Just use this simple recipe to make a tasty treat that you can enjoy and not feel guilty about! Place all ingredients in a food processor or high power blender and blend until smooth, scraping down the sides. For best taste, chill before serving. Order your own cookbooks from the Holistic Moms Network here and enjoy all of our recipes, all year long! Soup is magical. Seriously. In our house a big pot of fragrant, steamy soup transforms everyone. It's like wrapping yourself up in your favorite blanket. Warm soup fosters calm and comfort. So as winter winds down, this simple Split Pea Soup is the perfect way to ease into a new season! Heat olive oil and add pancetta, stirring until browned. Add onion, celery, carrots, and bay leaf. Cook for about 10 minutes. Add garlic. Then add split peas, stock, water and ham bone, if available. Bring to a rolling boil. Reduce heat to low and simmer for 30 minutes. Stir occasionally. Add thyme, cooked diced ham, and salt. Cook for another 30 minutes. Remove bay leaf and ham bone. Remove from heat and add vinegar and sherry. Season to taste with salt and pepper. Top with parsley. Parenting poses us with a wide array of challenges, some expected, most completely unanticipated. Being a conscious or mindful parent is its own evolution, a journey into a world of transformation. Conscious parenting, very simply, rocks your world. In a good way. For me, one of the biggest steps into conscious parenting was acceptance. Acceptance that my to-be vegetarian, creative, Waldorf-style baby was, in reality, a complete carnivore with an engineering mind and penchant for technology. The acceptance was found in the fact that his uber-Type A personality was how he came into this world, with a wildly curious mind that raced through conversations, books, and general learning at epic speeds. His insatiable appetite for information was exhausting and yet immensely admirable. And then along came his brother with multiple disabilities and a personality that could light up an entire room. His challenges were not to be overcome, but only served to shine his own light more clearly. I learned quickly that my role as a parent was not to mold my children, but instead to allow them to bloom into the beings that they already were. Their tastes and preferences, their personalities and quirks, were all their own. And whether I embraced them or not, it was my role to cultivate and nurture, feed and protect, as a gardener to a garden. Doing so successfully required both acceptance and letting go. Letting go of any thoughts, visions, and expectations that I had for my children and embracing the present moment, delighting in where it could lead. The greatest conflicts I have encountered in my own parenting journey have always been about acceptance at their core. My expectations run up against walls of reality. No, bathtime should not be a mess that I spend the rest of the evening cleaning up. Mealtimes should be calm and easily received. Tantrums should be easily resolved. Expectation versus acceptance. Where what is just is, the conflict dissipates. There is acceptance. And then there is growth. Certainly there is resistance in parenting where danger is involved, but acceptance allows us growth by freeing us from the need to control. Therein lies the start of a beautiful journey in conscious parenting. We accept, we embrace, and then we grow. Together, with our children, we bloom as parents alongside them on the same journey. Contributed by Nancy Massotto, Founder and Director of the Holistic Moms Network, and mother to two amazing boys. Looking for an easy, kid-friendly way to get more greens into your kids? Just in time for St. Patrick's Day, here is a simple, tasty green smoothie recipe that your kids will love (and you will, too!). This Green Smoothie recipe comes from Many Paths, One Journey to Health, a cookbook published by the Holistic Moms Network based upon member-submitted, kid-tested recipes. For a healthy morning or snack, this smoothie delivers a great nutritional punch. Enjoy! Fill blender with spinach leaves and mash down. Add juice, pineapple, bananas, and yogurt (or coconut milk). Blend until smooth. Add ice cubes to thicken and chill, blend again and serve!